Are you exhausted… but just can’t sleep? One of the most agonizing states I know is the purgatory of insomnia, when I am desperate to sleep but still my mind and body hold me captive in the waking world. If the Centers for Disease Control statistic that one in three adult Americans are not getting enough deep sleep on regular basis is right, you may well know this particular agony also. Sleep, so seemingly simple, continues to allude many of us. Here are some of my favorite practices to set myself up for good sleep. Design your own unique Power Down Hour by choosing which ones work best for you and practicing them consistently. Start winding down an hour before the time you’re wanting to fall asleep. Practice gentle evening yoga – I’ve got a few perfect classes for you right here on yogadownload.com. Turn your lights down low lights, or light some candles instead. Make sure you’re well-hydrated, but try not to drink liquids just before bed so you won’t have to get up in the middle of the night to eliminate. Take an epsom salt bath or warm shower. Rub lavender oil into the soles of your feet, or sprinkle a drop onto your pillow case. Eat earlyish in the evening to be finished digesting before slumbering. Consider taking an evening walk after dinner. Brew yourself up some turmeric Golden Milk for an after dinner treat. Write out a gratitude list in your journal, or do a “brain dump” exercise if your mind is still busy from your day. Ask your doctor about taking Magnesium before bed. Generally helps sleep, muscular relaxation and digestion. Spend a few minutes rolling around on the floor with Yoga Tune Up Balls. When you get into bed, take a few deep breaths in through the nose and out through the mouth, then scan your body for any tension and give it permission to relax. 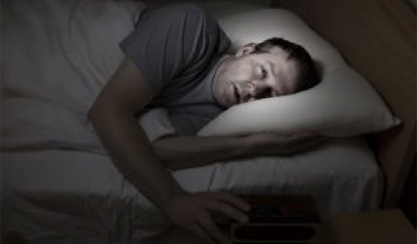 Consider using an app to help you fall asleep. This NPR piece details which ones work best and why. Need more support on getting enough quality rest? My online course REVIVE: 30 Days to Vitality, Health & Ease dives deeper sleeping rituals and other yogic lifestyle habits. I’m also always at your service for one-on-one coaching. If you’re ready to make big changes in all aspects of your life, sign up for a complimentary clarity session here.